I love when finishing returns to delight and enchant us. 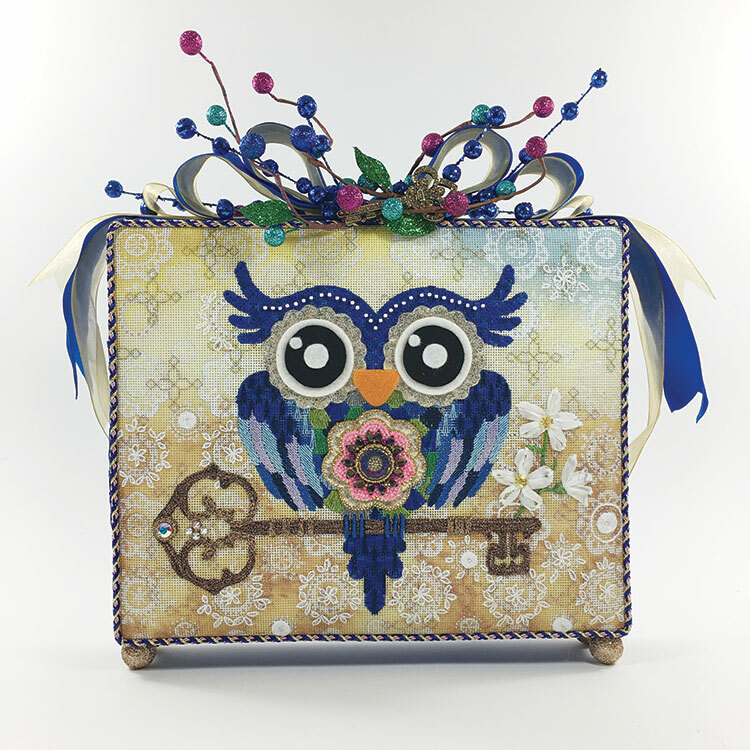 My Sandra Vargas Owl with Key is back from the finisher and it’s sparkling and cute. I still love the eyes. This is such a happy owl, he looks great in every format. 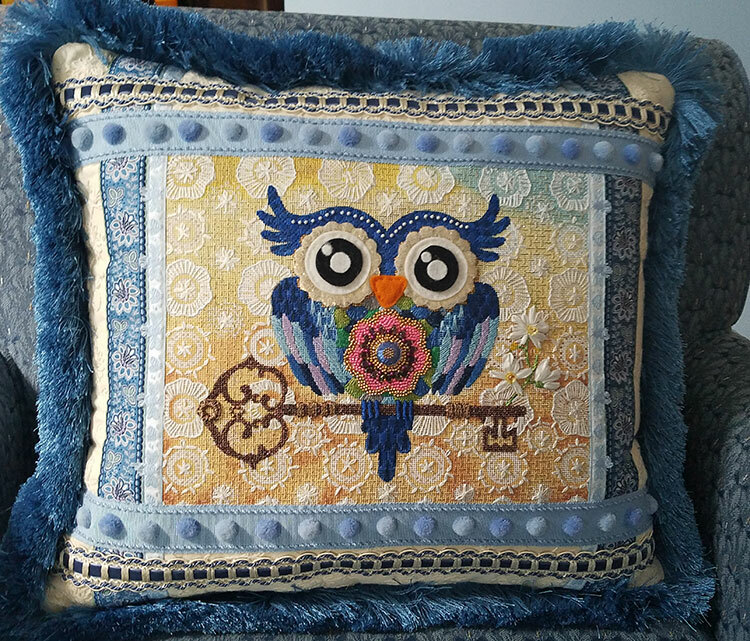 Here’s Angie’s pillow finished with fun ribbons and trim. Angie worked her background as a repeat pattern of medallions. Much more stitching than I did. No surprise there, right? She also beaded the flower on his chest in a more traditional manner than my bead embroidered medallion. Catherine framed hers in a crisp white frame that I love! Check out some of the changes she made to the design. 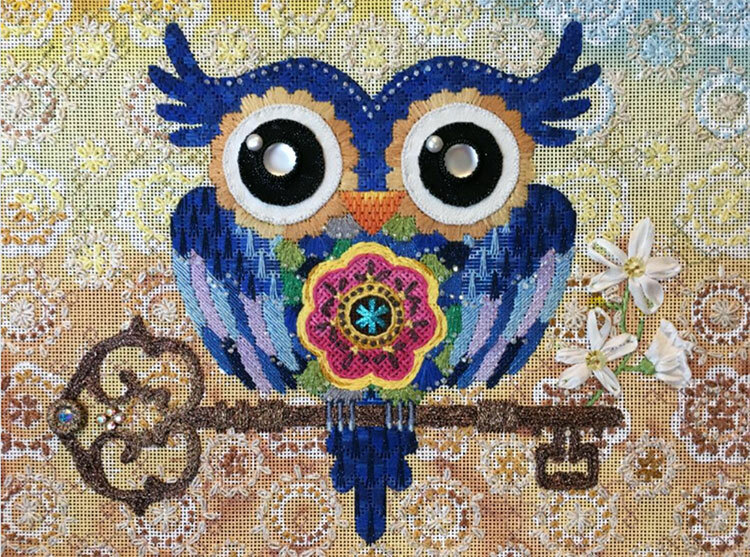 Her owl has bead embroidered eyes instead of the flower. The highlight on the eyes really makes them pop. The flower is less dimensional to balance the eyes. She too worked more medallions in the background and added fun colors to the lace. Thank you both for letting me share. I love all of the variations. Remember a stitch guide is just a starting point. Feel free to experiment and make a canvas your own. 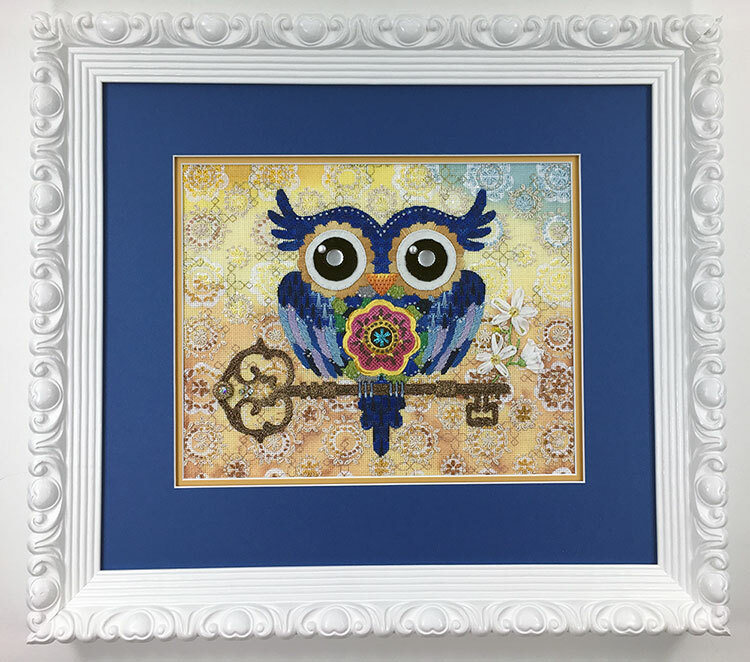 If you would like to stitch your own Owl with Key, here’s the link. « Previous Mystery Post: The Big Reveal! I love this owl! 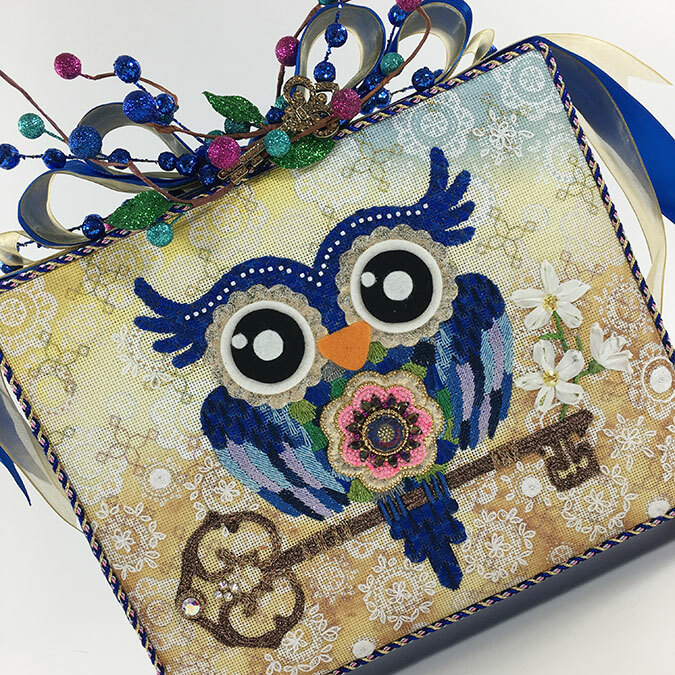 I can’t help but wonder if its creator is a member of Kappa Kappa Gamma–the owl, key, and 2 shades of blue are very significant to us Kappas! What a fabulous piece! Can you share the name of your finisher? I would love to begin finishing in creative ways such as these. Somebody has to say it….. What a hoot!! Love the different backgrounds. They all work really well! Love the pearly eyes on the last one! Exceptional!